Caroline heads the Legal & Regulatory Department of the business and has over 9 years of extensive experience in handling legal, regulatory, compliance, employment, corporate and commercial transactions having worked in the telecommunications and oil industries. 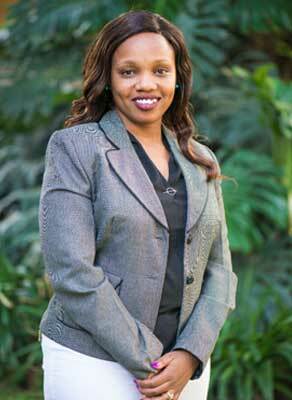 She holds a Bachelor of Laws Degree (LLB) from the University of Nairobi and a postgraduate diploma in Law from the Kenya School of Law and is an Advocate of the High Court of Kenya. She is also a Certified Public Secretary, CPS (K) and has successfully completed her postgraduate course in Human Resource Management.